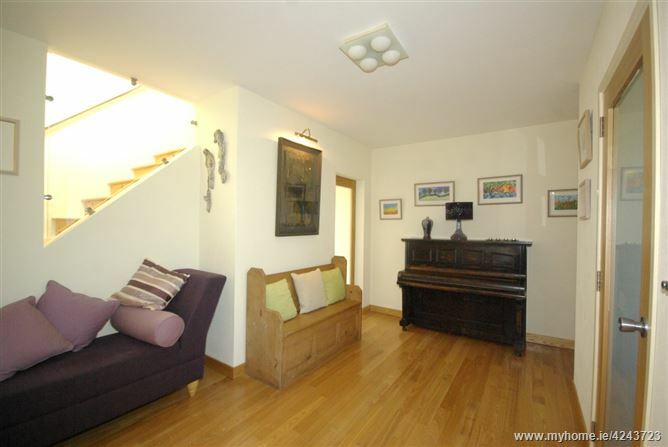 This property is full of interesting features.... the hand, more-so the eye, of an interior designer is evident throughout the house, the use of space and light is very effective in making it a very pleasant home. 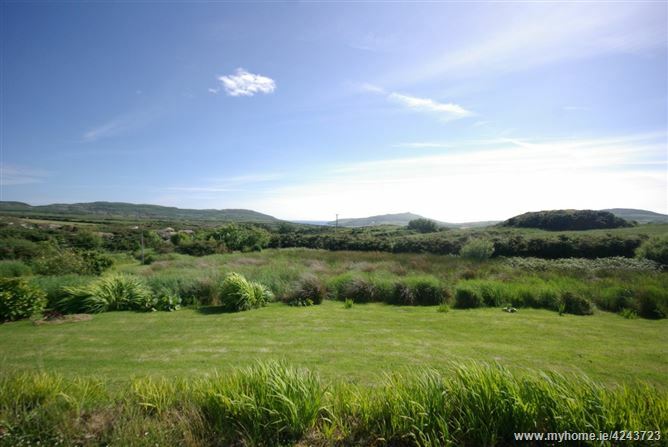 The garden too is interesting, nice little paths throughout, with shady nooks to relax in.... and a sheltered area in which to grow your own vegetables........ and of course the view down over the countryside to Barley Cove Beaches and the Atlantic....Is just delightful......! 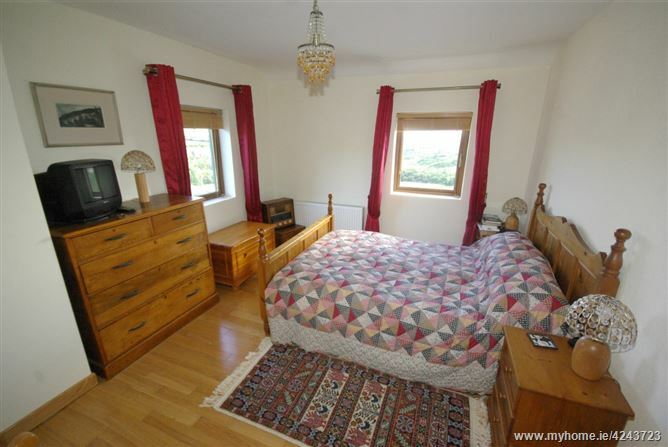 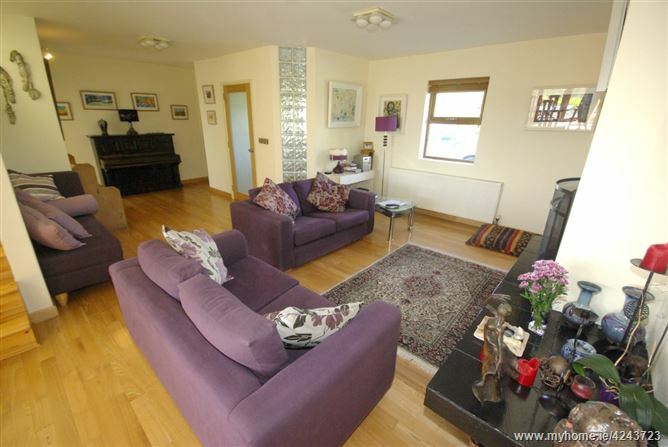 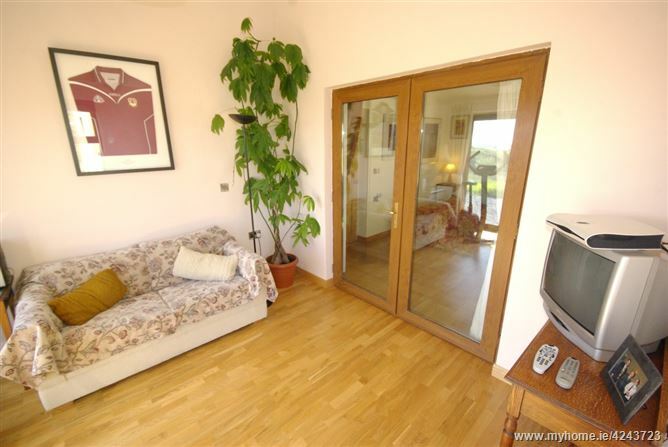 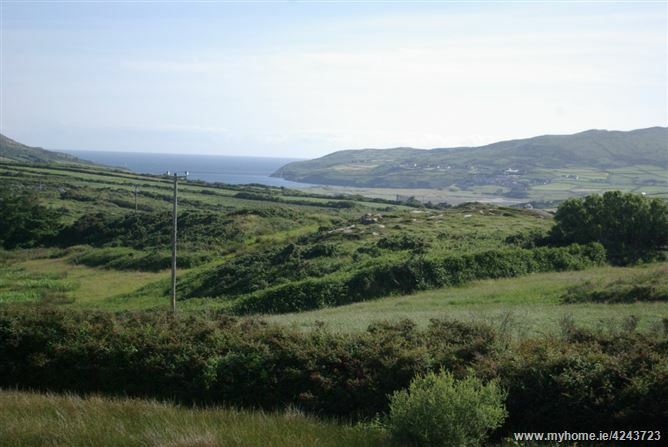 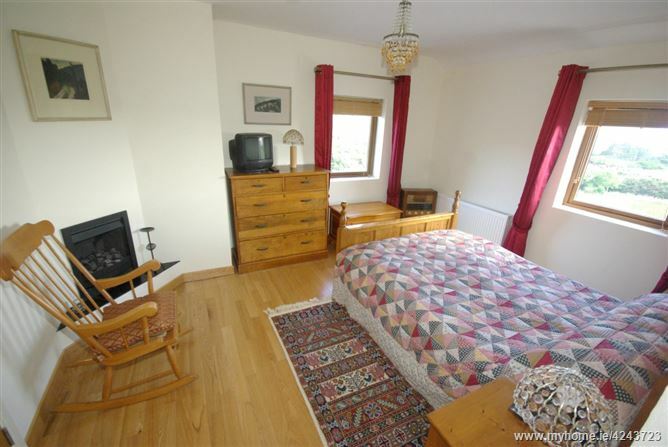 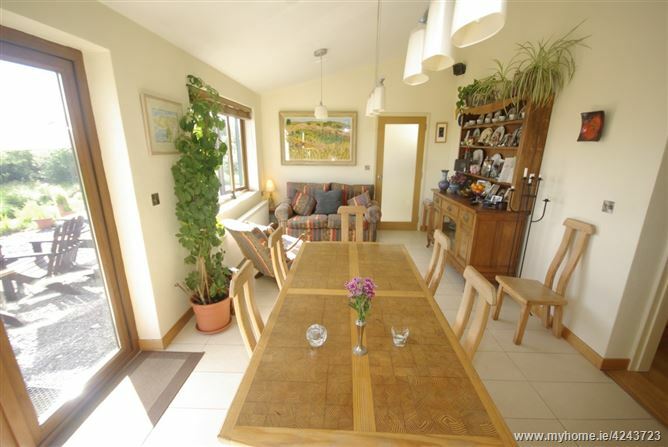 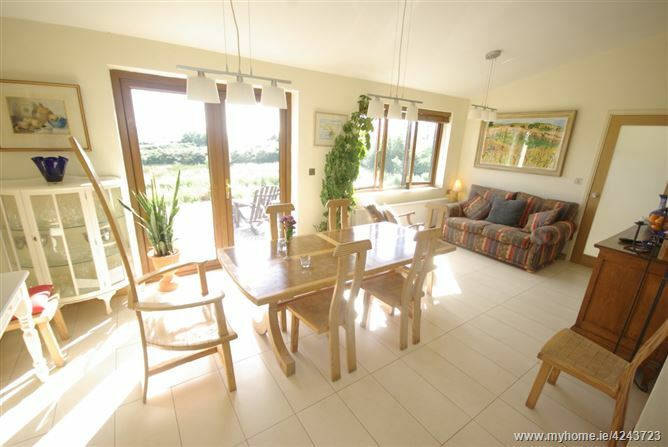 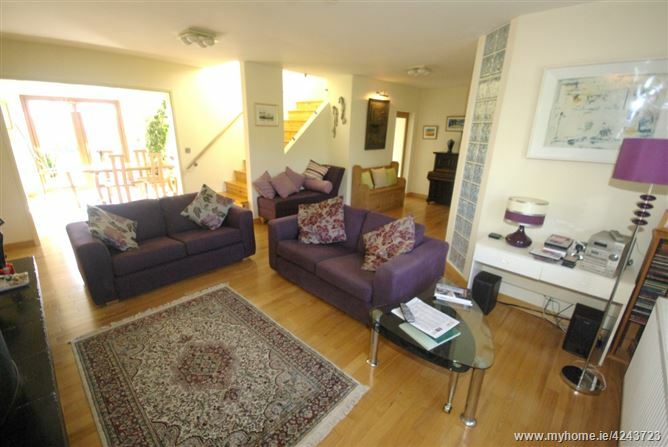 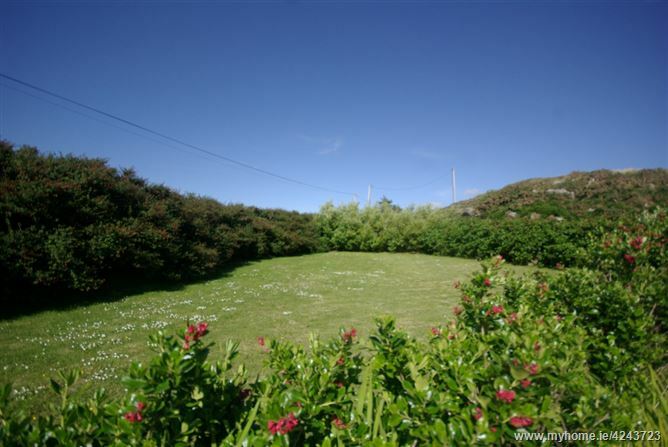 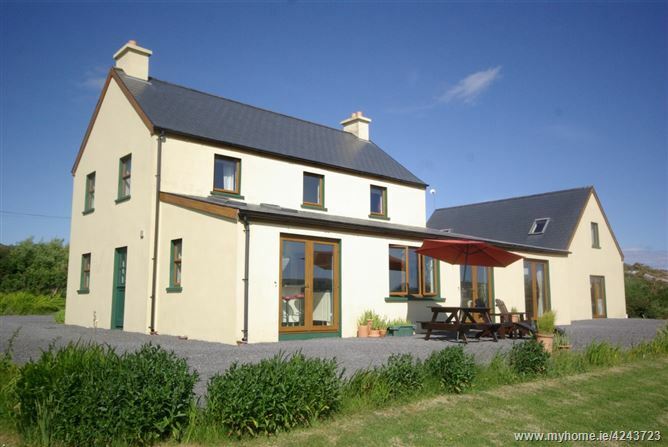 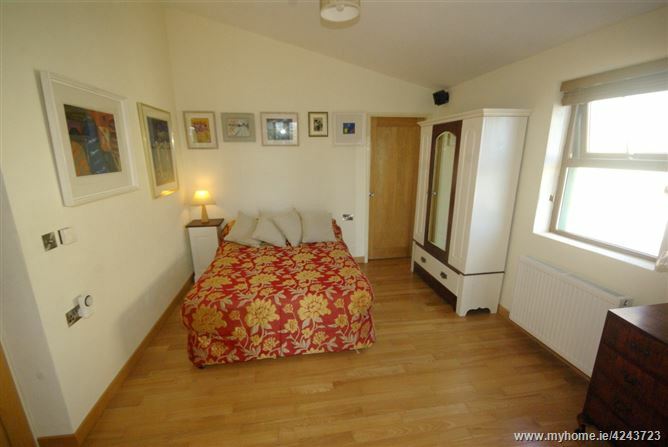 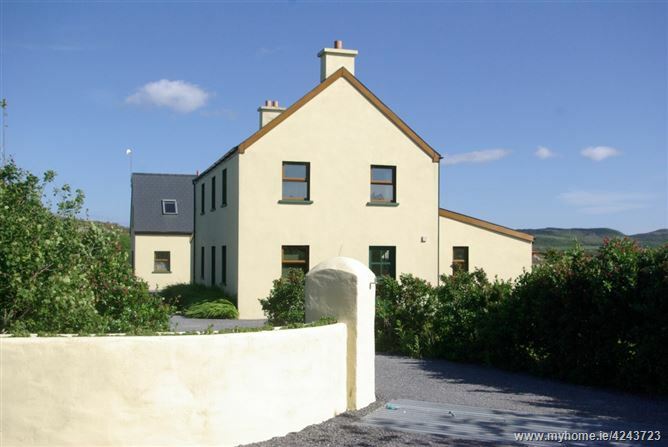 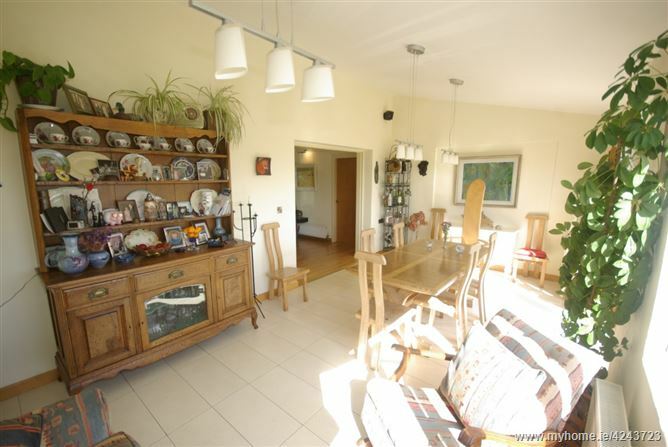 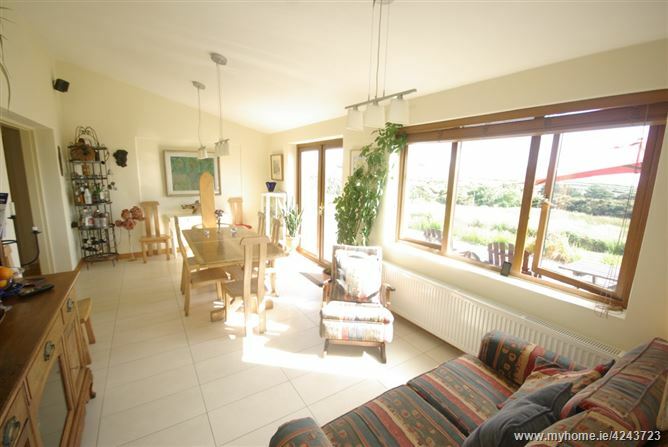 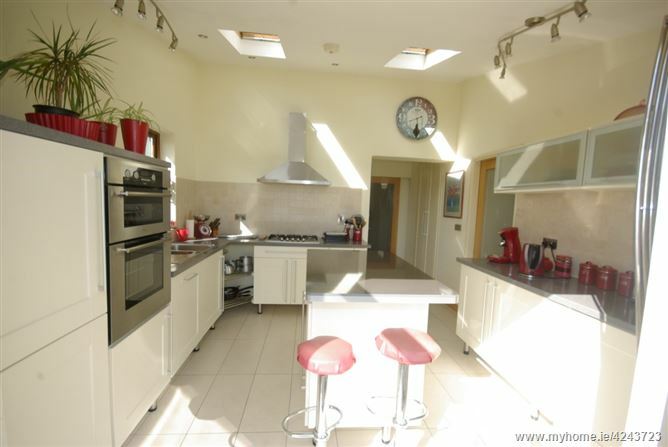 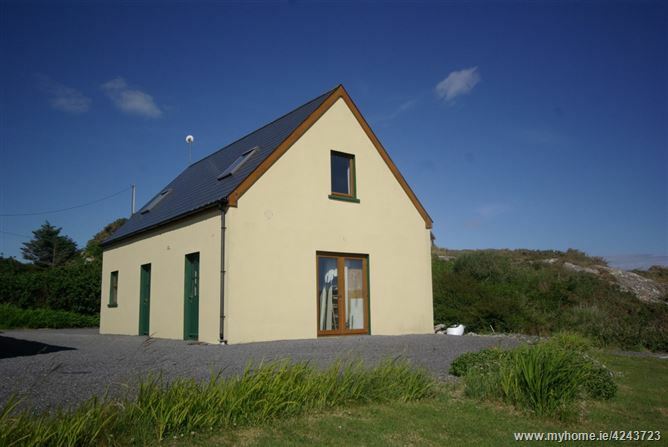 - Superb 4 bedroom residence, c. 2000sq ft at Cloughanaculleen, a few minutes drive from Barleycove hotel & beach. 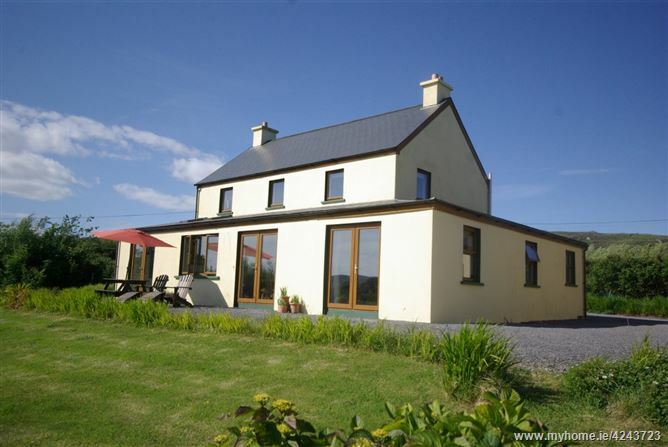 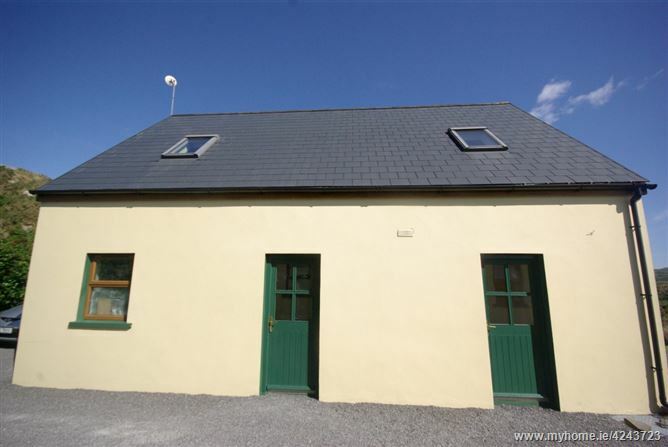 - 3kms from Goleen Village. 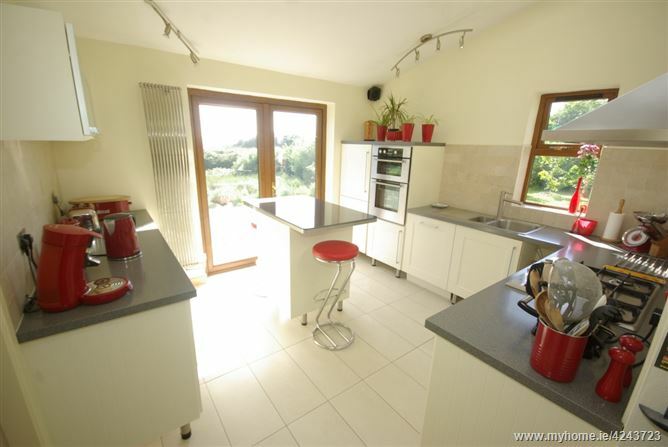 - Situated on a mature c. 1 acre plot. 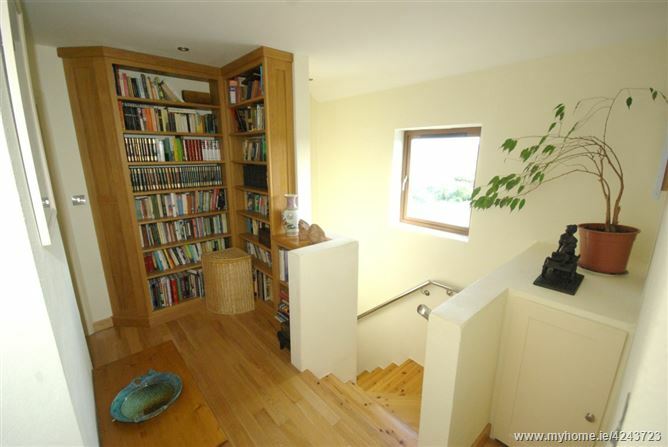 - c. 1000sq ft lofted garage. 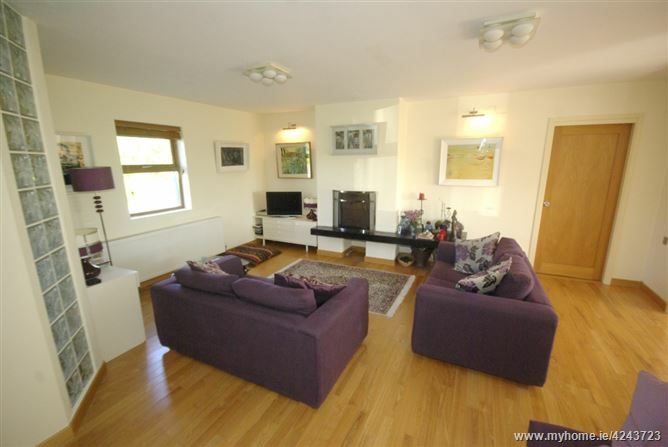 - Cleverly designed, well appointed, spacious accommodation taking full advantage of the views. 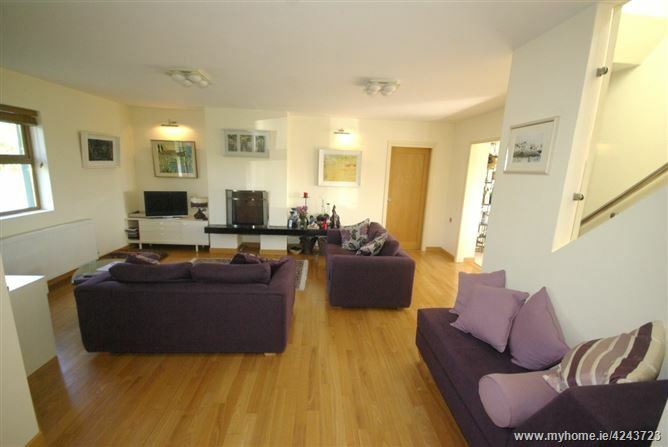 - High quality finish throughout this property. 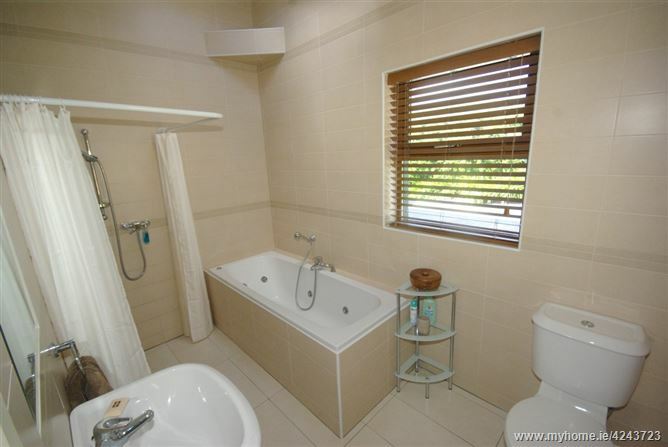 Bedroom 4: (3.4 m x 3m) ensuite: shower, bath, WHB, WC.